Appextech providing end to end custom software development solution, website design, web development, add-on integrations, flash applications, e-commerce, search engine optimization, product development etc. and delivering innovative results. We help develop easy and cost effective software solutions for our clients. We develop the software on various technologies presently prevailing in the market. Insure Based Software to create a high end system at a fraction of the price for smaller companies, yet with the flexibility to upgrade to the full system in the future. It incorporates a client form, policy selection, claims module, diary and task work flow system. We deal with premium software like WIN 7, WIN 8, WIN 10, MS OFFICE , TALLY, PHOTOSHOP, ANTIVIRUS for Business and Home users. We provide a wide range of AIDC software solutions strictly matching user requirements . We provide support to any third party software. We are pioneer in Windows , Unix and Sco Unix . 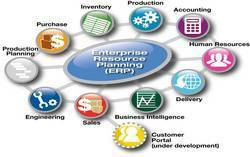 We do support any ERP on any Platform .